Swap Blocks! Save Animals! More than a rescue! Monsters from outer space have kidnapped the baby animals! Rescue baby animals and re-unite them with their parents. You'll have to swap, tap, and clear same-colored blocks in order to rescue your animal friends and send the monsters flying out of this world. Roar into action using your puzzle-solving skills and have a paw-some time! 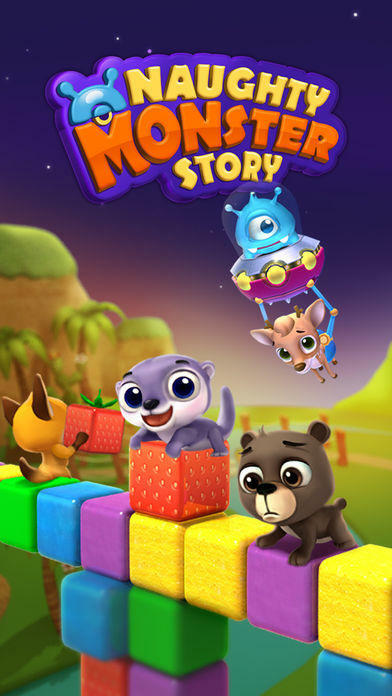 Naughty Monster Story is completely free to play. You do have the option to purchase boosts and moves should you wish. - Explore four exotic worlds with over 90 stages to test your skills! 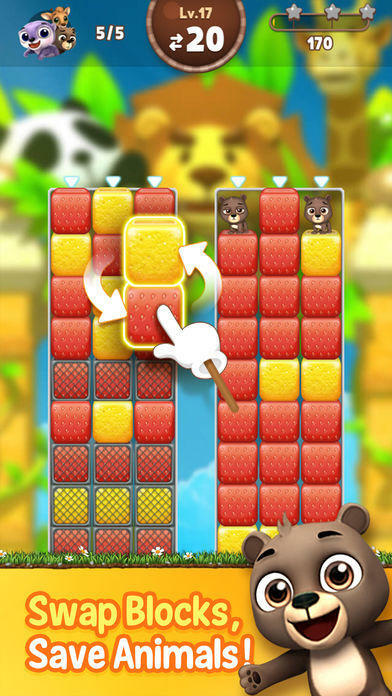 - Put your puzzle skills to the test by swapping blocks to match colors in order to defeat the monsters. - Send the monsters back to the mothership with block-busting combos. 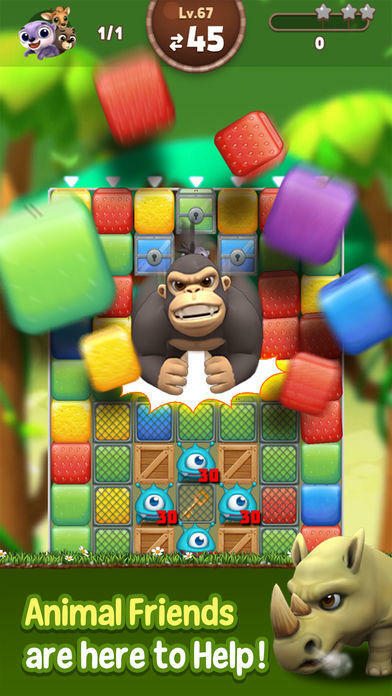 - Use power-ups to combine forces allowing you to go bananas on puzzling puzzles! 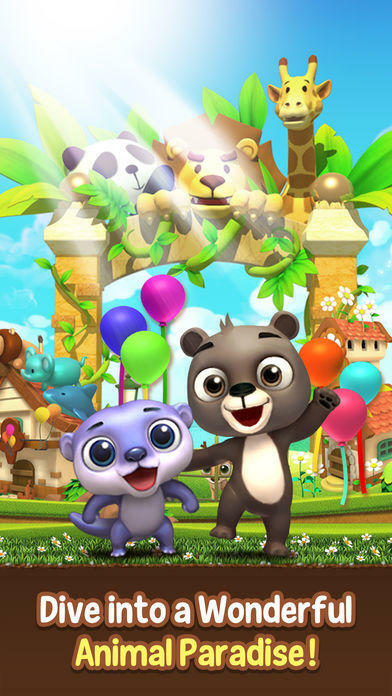 - Compete against friends on the leaderboards to see who can save the most animals. 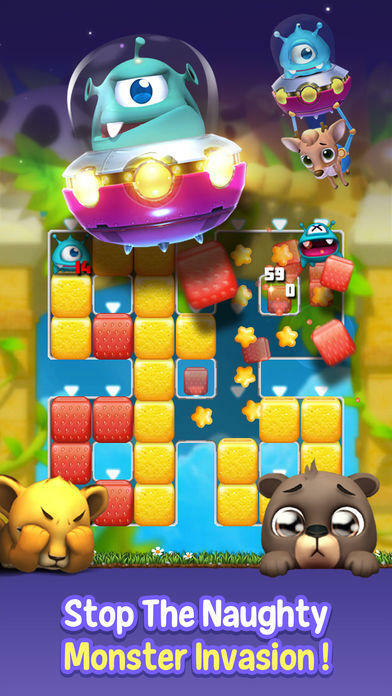 Swap, match, and POP the blocks to rescue animals and defeat monsters!